So, it appears that you have finally splurged on a new projector screen. Now that you´ve decided where you want it to be placed, it is time to grind. 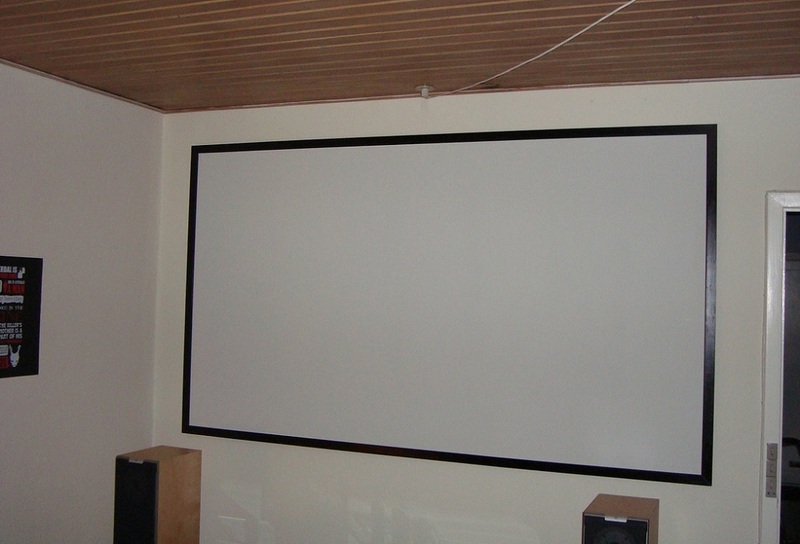 It is not necessary for you to hire the services of a contractor to hang your projector screen on the wall. You are perfectly capable of doing it yourself. Hanging a projector screen is very straightforward; please do allow us to elaborate. The biggest advantage of hanging the projector screen (You Find Great Screens Deals Here) on the wall is that you get to choose at which height you are going to hang it. Controlling the height of the screen has several benefits; for instance, you get to determine whether to start the projected image at a lower or a higher position. When hanging a projector screen on the wall, you will need to consider a variety of measurements, including your room size and screen size. You also need to check the instruction manual of the projector and check its specific throw distance and vertical offset. Without beating about the bush any further, let´s discuss the matter at hand. 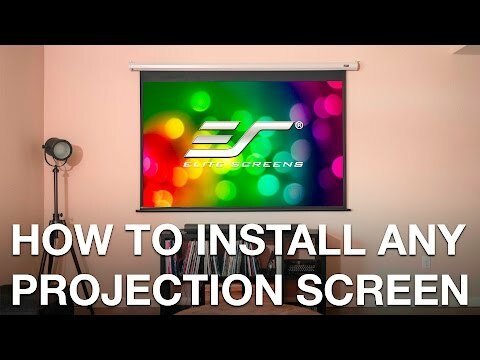 Here´s how you can hang a projector screen on the wall. First and foremost, you should check the projector´s manual and identify the ideal height position of the projector. Then, you should use a measuring tape to identify the appropriate height for the wall mounts. If the projector screen is large, the wall mounts should sit close to the ceiling. Only then will you be able to take full advantage of the screen size. We will require a stud detector for this step. 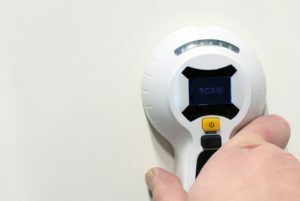 You should drag the stud detector over the wall upon which you will mount the projector screen. When it sounds, it means that it has identified part of the stud wall. You will need to mark this area with a pencil. After that, you should measure the projector screen width with a measuring tape. Then, you should locate where the second mounting bracket will be placed. You should then drag the stud detector across the wall in this area too, and again mark the area on the wall where the stud detector beeps. >>> Check this tutorial if you decide to hang the screen from the ceiling instead of wall. The third step involves you using a laser level to make sure that the pencil marks are drawn directly across from each other. The marks must be parallel to the ceiling. We wouldn´t want the projector screen to hang in a crooked manner now, would we? Previous articleHow To Hang A Projector Screen From Ceiling?